An early motte and bailey or ringwork Norman castle was built on the Framlingham site by 1148, but this was destroyed by Henry II of England in the aftermath of the revolt of 1173. Its replacement, constructed by Roger Bigod, the Earl of Norfolk, was unusual for the time in having no central keep, but instead using a curtain wall with thirteen mural towers to defend the centre of the castle. Despite this, the castle was successfully taken by King John in 1216 after a short siege. By the end of the 13th century, Framlingham had become a luxurious home, surrounded by extensive parkland used for hunting. 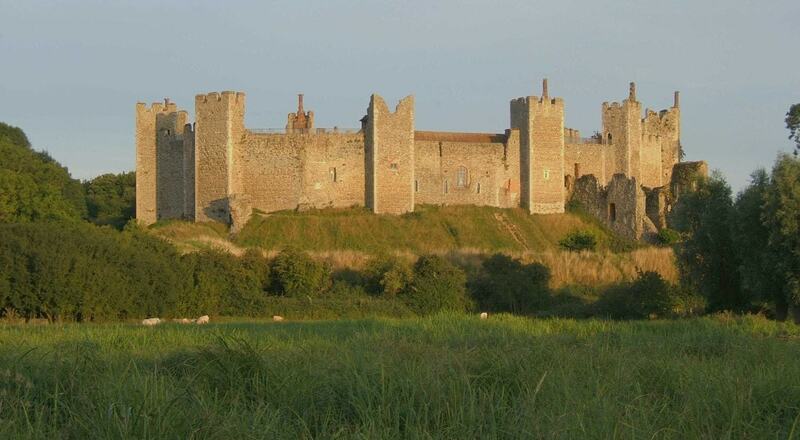 Today, Framlingham Castle is managed by English Heritage and run as a tourist attraction. It is protected under UK law as a grade I listed building and a scheduled monument.